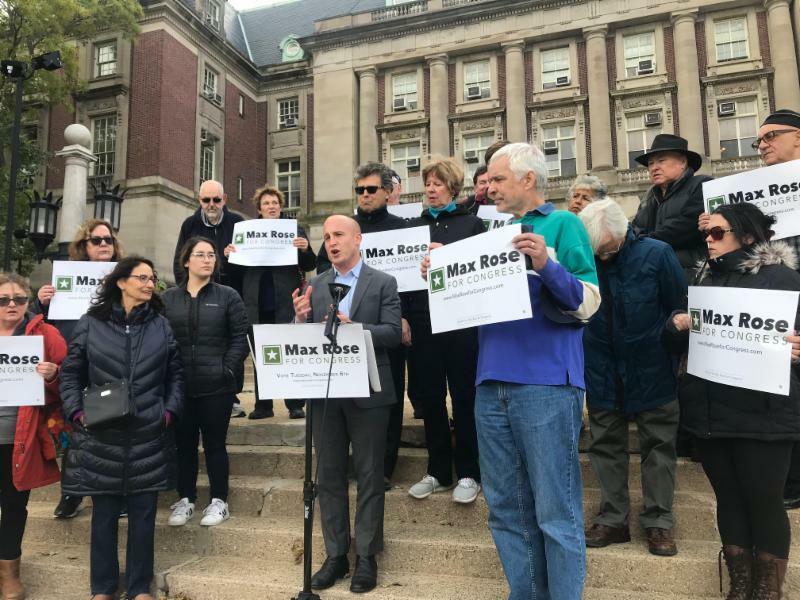 NEW YORK – Today, Max Rose, the Democratic Congressional nominee for NY-11, held a press conference to draw attention to a specific instance where Dan Donovan sides with one of his biggest donors, Purdue Pharma, and other drug companies by voting against opioid treatment programs and efforts to make life-saving drugs more affordable. Added 500 resident physician slots to hospitals that have developed or are developing training programs, as well as additional psychiatry or pain medicine. Allotted $1 billion annually to states through 2021 to invest in locally designed opioid prevention, treatment, and recovery solutions. Implemented CREATES Act, which would save the government $3.8 billion by making it easier for generic drugs enter the market and reduce prescription drugs prices for all Americans. The CREATES Act, a crucial part of the package, was co-sponsored by Ted Cruz and Rand Paul and was supported by committee staff in both chambers. However, between January and March of 2018, the largest drug lobby group in America spent $10 million to fight against the motion and successfully eliminated bipartisan support. In breaking their own record for the most spent in a single quarter, Big Pharma stalled a bill that was intended to increase competition among generic and branded drug manufacturers. “Dan Donovan has said his donations from Purdue Pharma have not influenced his votes, but once again the facts say otherwise. In voting against the motion, Donovan robbed Hospitals of increased funding for doctors and more resources for local addictions programs,” said Rose. The revelation of Donovan’s “nay” vote comes nearly two months after a New York Post exclusive found that the incumbent had taken $10,000 in campaign contributions from Purdue Pharma executives. Purdue Pharma is the creator of OxyContin, a highly addictive painkiller. Donovan accepted the donations after Purdue executives pleaded guilty for misbranding the addictive tendencies of OxyContin and their role in fueling the opioid epidemic. March 2018: Purdue Senior VP Philip Strassburger writes a $2,700 check to Dan Donovan. March 2018: The country’s largest drug lobbying company (companies?) was breaking records to fight the CREATES Act. April 2018: Michael Friedman, Purdue’s former President & CEO, donates $1,500 to Dan Donovan. June 2018: Dan Donovan votes against the CREATES Act, throwing away 500 addiction treatment provider slots and $1 billion in funding for addiction treatment programs with it. September 2018: The New York Post reveals that Donovan had taken nearly $10,000 in campaign contributions from Purdue Pharma executives, beginning in 2016.